Has UEFA's much fancied Financial Fair Play (FFP) Crash Landed Before it took Off? 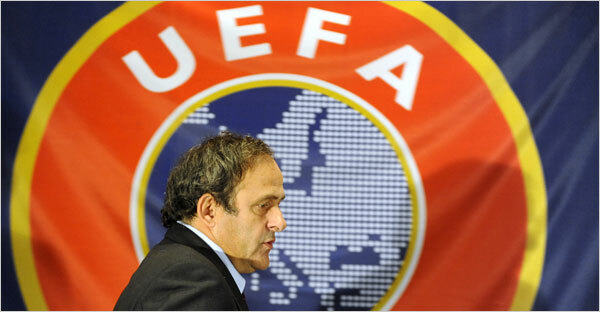 UEFA Financial Fair Play(FFP) Regulations, was the much touted idea of UEFA President, Michael Platini to sort out the precarious financial situations in which most of the clubs in Europe find fully immersed in. When introduced as an idea, one have to admit there were a genuine fear about the regulations and many clubs started taking steps to be compliant with the regulations. What are these regulations? Simply put(quoting from Wikipedia), "Only a club’s outgoings in transfers and employee benefits (including wages) will be counted over income from gate receipts, TV revenue, advertising, merchandising, sales of players and prize money is included in the assessment. Any money spent on infrastructure, training facilities or youth development will not be included." Like many football fans, I also believed wrongly that this will get the entire European League back on financial stability. Even though, I did have some reservations about smaller clubs being at a disadvantage. I did write about the same earlier in two of my post which can be found here - and Spending Cap, Is it Fair?. 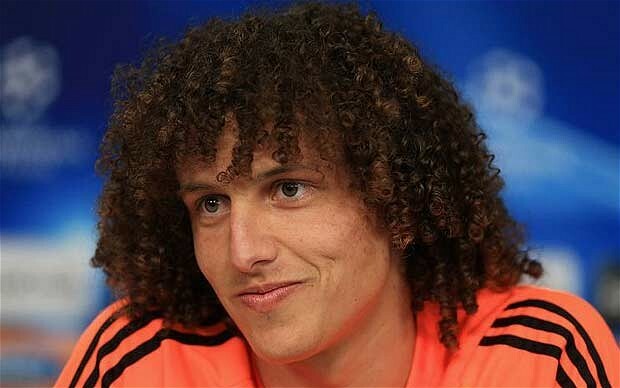 Why on Earth would Chelsea sell David Luiz to Barca? Or, more appropraitely put, Why on earth would Chelsea sell David Luiz to any team? Isn't that an interesting question. In one of my previous post which detailed about Barca's transfer targets, I did indeed raise the same question, about the need for Chelsea to sell a player so integral to them. But none of those reasoning has stopped the Barca press in building this up. Today SPORT has broken a new development in the never ending saga - Bayern is no more interested in the player. Now was Bayern ever interested in the player, one needs to ask the Daily Mail correspondent who created that rumour. SPORT is not to be left behind. So they have reported to day that the negotiations with Chelsea is in advanced stage and an important development will happen this week itself. If that interesting development ends up as an official declaration by Chelsea that the player will not be sold, don't get surprised then. 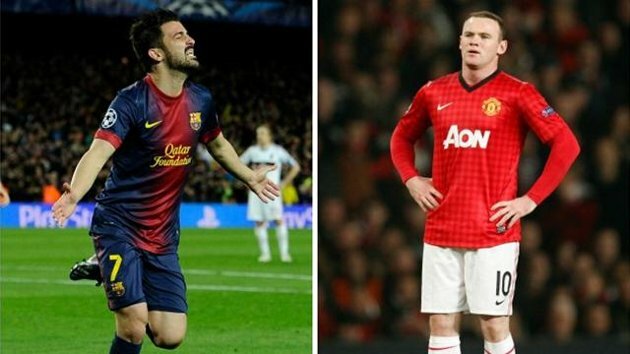 SPORT some days back has put Thiago and Villa in the same boat to Manchester in anticipation of the ship carrying His Highness Wayne Rooney; only to see David Villa jump out and hit the shores at Madrid. It's still early days in Tata Martino's managerial episode at Barca. 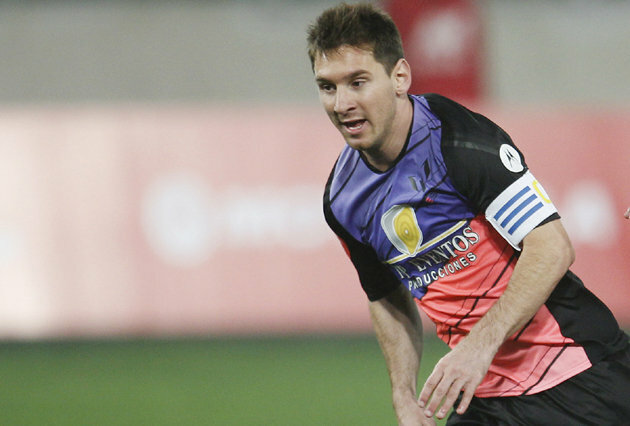 Yesterday he over saw his first practice session including most of the Barca players. It was clear from past experience that he would be interested in to hear from players. It's expected that the coach will have one on one meeting with all players; even Dos Santos has put his transfer talk on hold till that completes. There were early expectation that Martino will bring Santiago Vergini as a center choice back up along with him. Now it seems it may not happen like that. Martino has clarified to the management that Santiago Vergini is only his emergency option and the club will be free to sign any defender. If the club fails then he may look up to the Argentinie to fill up the position. This development may have taken place after he had a detailed discussion with Zubi about the progress of different transfer options available to the club. In other words it could also mean that the Sporting Director is confident of bagging David Luiz from Chelsea before the end of the transfer window. 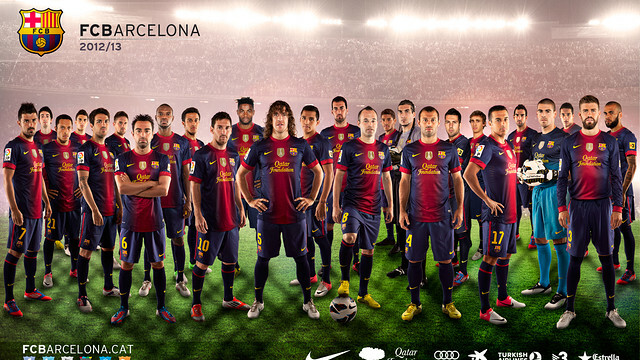 Recently I have started Facebook Page and Google Plus Page for All About FC Barcelona Blog. 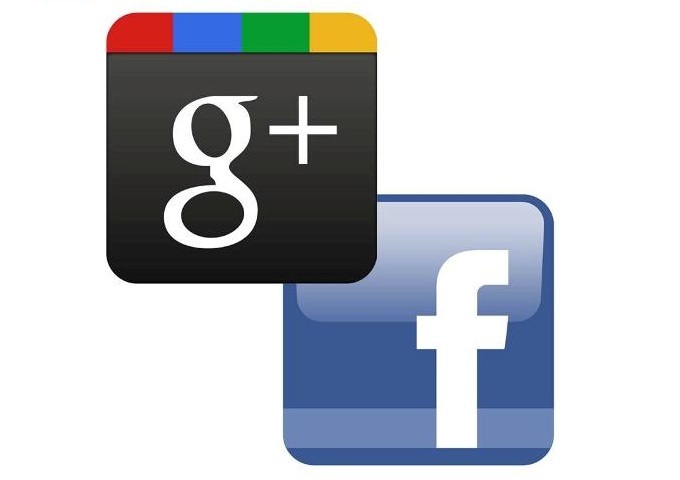 Do follow both as a lot of information would be shared via them. These two pages make it easy to share normal videos, Photos and other stuffs I find all over the internet of Barca and Barca stars. So keep following them, so that you don't miss any of the good stuffs. Tata Martino, the new Barca Manager is reported to be interested in bringing in center-back, Santiago Vergini to Football Club Barcelona. 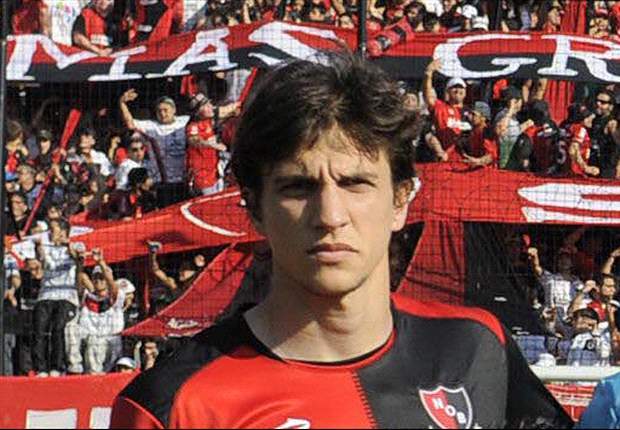 Santiago Vergini is currently playing in Martino's old club Newell's Old Boys. If this is proven correct, then it marks a significant shift in the way we will be looking at reinforcing the defense this summer. It doesn't mean we will stop pursuing Thiago Silva(whom PSG won't sell) or David Luiz (who Mourinho won't sell to us); it only marks that Tata Martino will not wait till the end of the transfer window to find replacements for those two. There is not much exposure about Vergini's defensive abilities, but at 6 feet 3 inch he will add height to the defense, which was once again exposed by Lahm's goal in last nigh friendly. Also he will be very much in line with Martino's playing style and hence may not need time to adapt. He may not be world class; but if we sign him, we will get another body to share the work load. Barca started their Pre-Season officially with a 2-0 defat at the hands of current European Champions, Bayern Munich at the Allianz Arena. 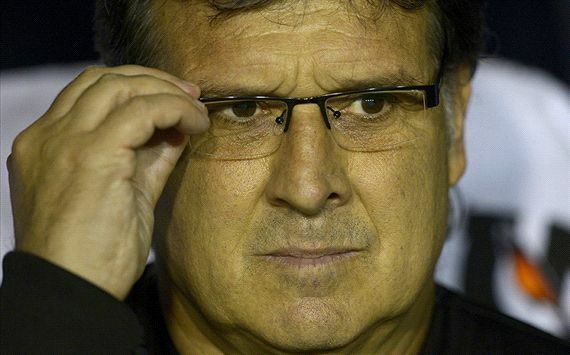 Tata Martino lands the Barca Job - Is he the Right Man? Gerardo "Tata" Martino has been officially appointed as Football Club Barcelona's Coach for the next two season. One have to be excused if he end up reading the first line with a familiar expression - "Tata Who?". And it's a fact! No one knew Martino before a week or so. He was virtually unknown to majority of Barca fans and almost whole of the European football fans. Can't blame the fans? You hardly track news about a guy who has never managed anywhere in Europe. Even his Spanish football experience is limited to a single season with Tenerife. In his prime as a player in Argentina, Martino could only muster up a single appearance in the National colours. Hence the virtual anonymity in Europe. Even then he was voted as the Greatest Player of the Newell's Old Boys by their fans. 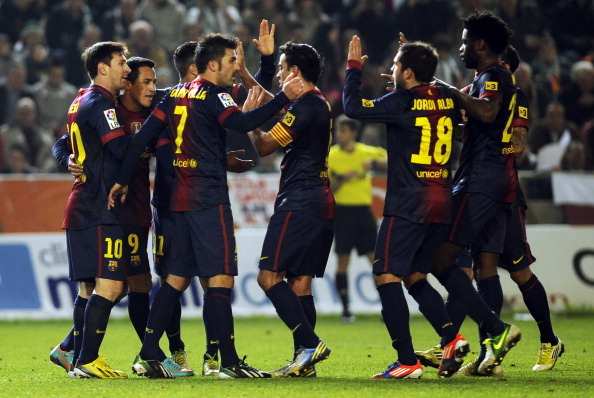 The legendary status is reinforced by taking the club to the top of "Torneo Final" last season. But Why did Barca go with someone who has no experience in Europe and all his success and experience has come in South America? 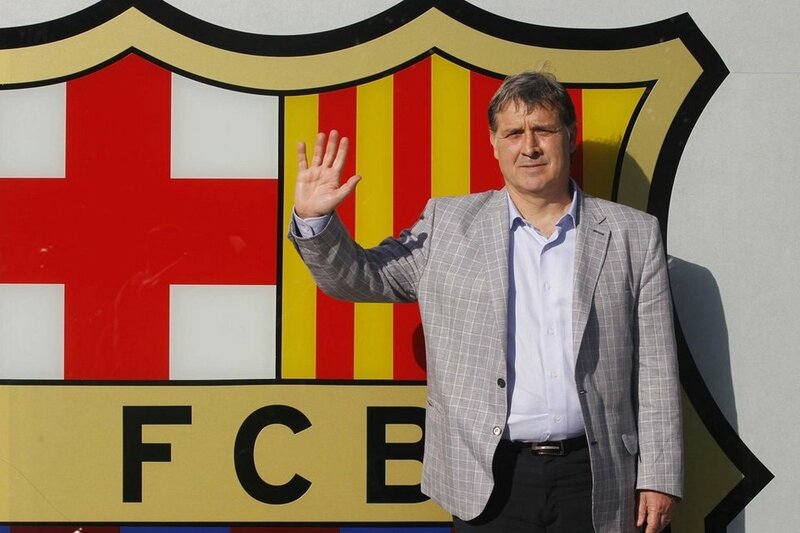 OFFICIAL UPDATE : FC Barcelona has confirmed the appointment of Gerardo Martino as head coach for next two seasons. Unconfirmed reports are emerging that Barca has finalised on Gerardo "Tata" Martino as the replacement for Tito Vilanova. The club has not openly confirmed these reports and even Martino has confirmed that the final decision is not taken. But when Mundo Deportivo, Sport and Marca all report the same thing, then there has to be a bit of truth in it and above all Graham Hunter has also confirmed the decision. 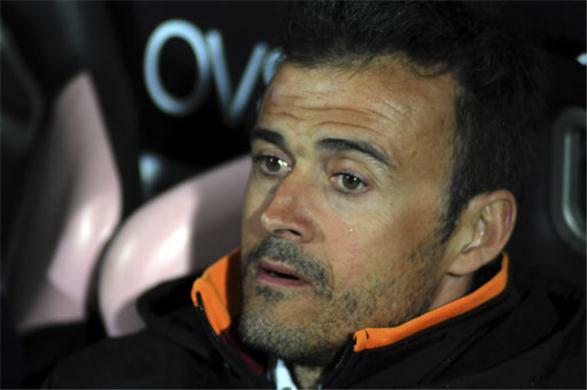 Till yesterday as I wrote Luis Enrique was in prime position to take Barca's coaching job. The biggest disadvantage for Martino against Luis Enrique was the lack of European Cup Competition experience. But looks like the club management wasn't much concerned about that and the late video conference seems to have convinced about his potential. Another issue could have been the 3 million buyout clause for Luis Enrique and Rosell who has been very reluctant to spend might have decided on Martino. On a causal note, with Martino taking charge we will have "TATA replacing TITO". 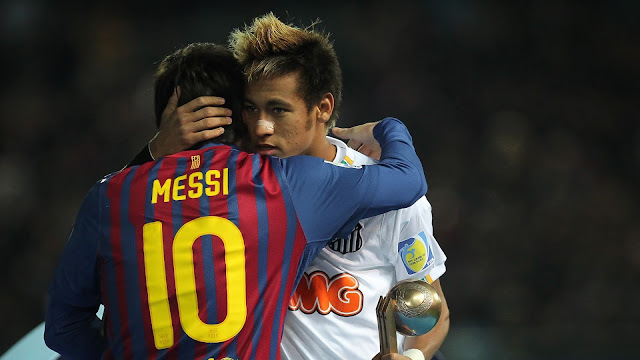 Neymar and Messi, Who Said What? The much anticipated arrival of Neymar to Barca has brought its share of mixed reactions from footballing greats. Here are some of those bordering on the sides of positive and negatives. Former Football Club Barcelona player and B team coach Luis Enrique is widely expected to replace Tito Vilanova as first team coach. Currently the Spaniard is managing La Liga side Celta de Vigo, and has a 3 million buy-out clause. Barca management is ready to buy him from Celta and the initial report is that the Celta may not oppose such a move. There are also rumours that current assistant coach, Joan Francesc Ferrer popularly known as Rubi may be allowed to join Celta in a deal. From Barca's footballing and management perspective, Luis Enrique presents a safe choice. The Spaniard was in charge of the Barca B time which won promotion to the second division, no mean task considering the age of our squad. His later stint at Roma wasn't successful; but there is no denial that he will be very comfortable in our way of playing and also the players. Already we are hearing that Jonathan Do Santos has asked his agent to put his transfer to Real Soceidad on hold Luis Enrique was his manager at Barca B. 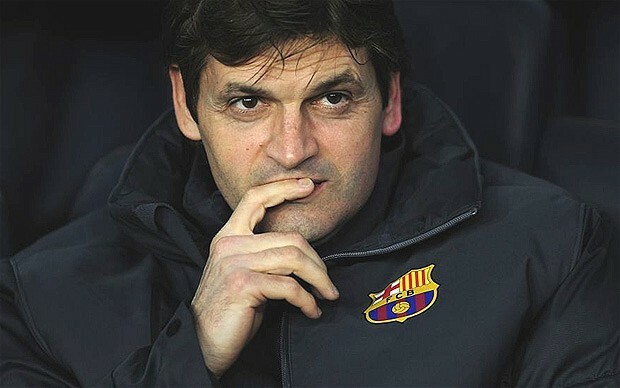 Football Club Barcelona's president Sandro Rosell has announced that current first team coach Tito Vilanova will step down from his position immediately following a relapse of the tumor. A routine check up had revealed a relapse of his illness and for now Tito can now focus on the treatment of his illness fully. The last two years has been very difficult for him as he had to handle the first team activities while fighting a serious illness. Even though it's sad to see a manager leaving at a critical point in the transfer window; but it's essential for Tito not to be burdened with anything else. Everyone knew that Football Club Barcelona needed defensive reinforcement this summer; it is safe to say that they were desperate for a quality center back. But it looks like Barca fans have to wait a lot more for their defensive reinforcement. 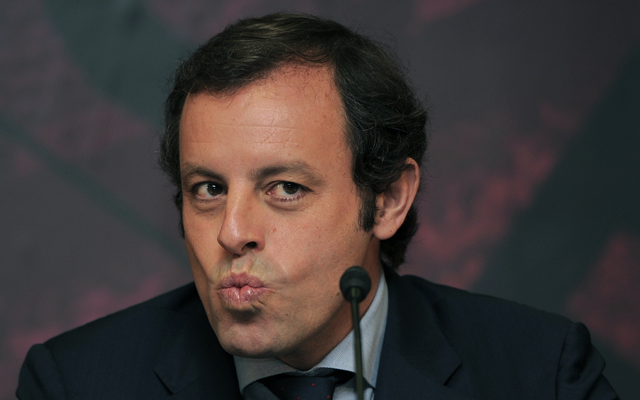 Surprisingly it's Rosell's Qatari master's who is driving a knife into Barca's reinforcement dreams. For the record, Barca's three main choices for defense this summer has been Thiago Silva, Marquinhos and David Luiz. At the moment none of them are coming, those who follow my posts wouldn't be surprised as I have warned earlier that these deals are not gonna happen - FC Barcelona's Summer Transfer Targets. Our pursuit of Thiago Silva has annoyed PSG so much that they have openly stated that they will activate Lionel Messi's release clause of 250 Million Euros. Activating the release clause and signing the player are two different matter, but that statement drives the message clearly that Thiago Silva is not going anywhere. The entire deal fetched Barca 25 Million Euros. There is no denying the fact that Thiago Alcantara was the best talent to come out of La Masia in the last two seasons. The very fact that Barca management tried every trick to stop his departure was a testimony to his promising talent. He was destined to be the main stay of Barca's midfield, not anymore. Now one could blame the board, the management, the coach and the player himself for this scenario; but in the end it is very difficult to stop someone who is hell bound on leaving. That doesn't mean Andoni Zubizarreta, Barca's Football Director can absolve himself from getting a deal which promised a minimum playing time to Thiago Alcanatara. With the likes of Cesc Fabregas and Alex Song, waiting in bench it was difficult to give Thiago a guaranteed playing time. So the question of why did the management agree for such a deal becomes louder! FC Barcelona Transfer News - Will Thiago Silva Come to Barca? Hours after SPORT broke the story of Barca agreeing terms with Thiago Silva; Tonietto, Thiago Silva's agent has rubbished the news as not true. At least he said he had no idea of the same. So SPORT still can claim their story as true. Many of us are not surprised as the story as I wrote - Has Thiago Silva agreed terms with Barca?, was too good to believe. Even if it's true, there is no indication that PSG is in the market hunting for a center-back to even start the negotiation. There are also rumors emerging about Barca actively pursuing back up choices namely, David Luiz and Marquinhos. Even David Luiz transfer looks like a non-starter for the time being as the market is not giving any indication of Mourinho looking for a Center-Back. Will a change in personal in Sporting Director job at PSG change anything? Meanwhile there are enough other news to keep you happy. Will Signing a Thiago Silva or David Luiz solve Barca's defensive issues? There has been unanimous agreement among football pundits and fans across the World about where Barca needs reinforcements this season. After getting thrashed 7-0 by a brilliant Bayern Munich side, naturally the focus was on defense. But there was enough recognisation that even the attack needs some add-ons; and in Neymar they hope that they have the perfect weapon. But there was no doubt in anyone's mind that the area where the maximum focus needs to be placed is in defense. It is a nice thing to see Football Club Barcelona trying to iron out the issues that plagued them throughout last season. The single minded pursuit of Thiago Silva and even keeping the David Luiz option as a back up shows how important the management see the need of reinforcement. But in this huge transfer saga going on, with details changing every day; one has to ask oneself whether an aquisition of either Thiago Silva or a David Luiz really gonna solve our issues? Has Thiago Silva Reached an Agreement with Barca? Today Catalan media house, SPORT broke the story of an apparent agreement being reached between the Brazilian central defender, Thiago Silva and FC Barcelona on a move to Camp Nou. As per the story, the Brazilian has agreed for a 5 year deal with the Club and decided to take a substantial pay cut to join Barca. In my earlier post where I outlined "Why Thiago Silva won't join Barca? "; I mentioned his wages as a big obstacle. As per the SPORT story he will be placed in the same bracket as Xavi and Iniesta and will have it's pay increase based on performance bonuses. That's in real terms means a minimum pay cut of 2 - 3 Million Euros; that makes it difficult to believe this story(Have a look at Barca Pay Structure here - FC Barcelona Player Wages 2013). Also SPORT has a history of drawing up stories to sell their paper. Remember a day before Barca agreed on Villa transfer, they sold the player along with Thiago to Manchester United in exchange of Rooney. Cancellation of Los Angeles Friendly draws ire of US Media and Fans. Even Chicago Friendly has landed in serious controversy. Things are not going well for Lionel Messi, at least on the Public Relation front. First it was the tax avoidance allegations, then came the cancelled friendly in Los Angeles and then came another disaster after the Chicago Friendly. To be honest Messi has nothing to do with any of this mess. The tax situation could be a bit of legal tussle; since his attorneys have stayed firm we could assume the case is strong on his side. The LA Friendly cancellation have somehow squarely landed on his head. This is happening even when there were other star players scheduled to play in that; Cesc Fabregas, Gerard Pique, Sergio Busquets, Robert Lewandowski, Sergio Aguero and Boateng all were supposed play in that and all are in United States presently. But when the organisers decided to cancel the event they placed the entire blame on Lionel Messi. Finally yesterday, I received two great news which I have waited for since the start of Transfer Window. 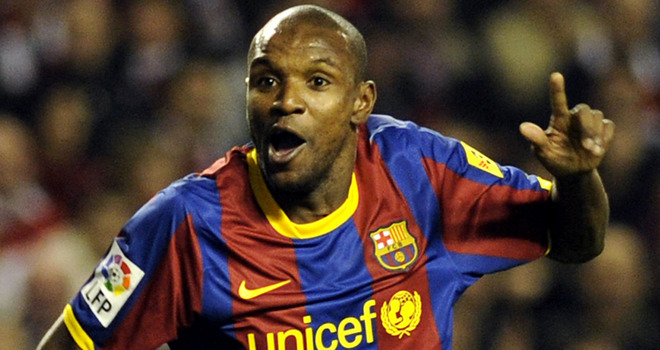 First was the signing of David Villa to Atletico Madrid and then it was the signing of Eric Abidal at AS Monaco. It wasn't like I didn't want them to stay at Barca; but it was better for them to go to a club where their services will be seen as adding values rather than an obligation or charity. Of the two, the Abidal signing brings in more emotions one could explain in a blog post. He has gone through a lot in the last two seasons. In his own words, it has changed the way he looked at life and what he hold as valuable in life. If we were this emotional, think about Eric Abidal. What he was going through while signing the deal was perfectly captured by Abidal's measured words - "It's very emotional, it's huge. After what I've been through, it wasn't easy to find a club with confidence in me." Hidden in those words are a serious feeling of hurt at the way may be Barca dealt with him. AS Monaco has given him a one year deal with an option to extend it further the next season; something we could have offered. It's kind of strange! When I wrote my last post - Fantasy David Villa, Thiago + Rooney Transfer; saying that the Villa transfer could happen in the next two weeks; not in my wildest dreams I expected it to happen quickly. Like I said it happened in stark contrast to the rumours which were out in the media. Would SPORT feel disappointed? I think so. Will they change their ways? Absolutely not, they have already started the Kun Aguero to Barca rumours. Wait for it to develop further. They have been behind this for last two season. It looks like every Summer transfer window Aguero starts his long pilgrimage to Camp Nou but in between gets lost and returns back to his old club. Hope this time he is able to find the way. May be he has been using Apple Maps so far! Like I wrote in my previous post FC Barcelona's Summer Transfer Targets, Catalan media houses has a penchant to border the realms of fantasy while transfer windows are open. Yes, boys it's gonna happen; otherwise SPORT will make it happen. First we will place 4 Million and Thiago Alcantara and David Villa in a boat and send it to Manchester, they will place Wayne Rooney in it and send the boat back. There are some small snags in the operations but those things are being fixed. Barca's valuation of Rooney looks to be at 30 Million Euros, which is pretty much the asking market value. But the problem is that Chelsea, Real Madrid, Arsenal all are interested in the striker and he won't be ready to take a pay cut to come to Barca! Why Bojan Krkic's Ajax Move is Good News for the Player? Bojan Krkic, once the most exciting prospect from La Masia will be spending the 2013-14 season in Ajax Amsterdam, the current Eredivisie Champions. That means he will once again feature in this season's UEFA Champions League Group stage. For the last two seasons Bojan has spent his time away from Camp Nou, in Italy. He was first loaned out to Roma in 2011-12 season and then to AC Milan in 2012-13 season. No one was surprised that both these clubs made no attempt to sign him permanently due the kind of season he had. Bojan Krkic failed to make any impact at both Roma and AC Milan. At Roma initially it looked like he would make the cut but then soon faded away especially on the enormous expectation placed by Italian fans and also their concept about the perfect striker. Everyone knows how the Italians and the Spanish hate each other's playing style and to be a Spanish style player(especially the one came from Barca's academy) in Italian league worked heavily against him in both the season. At Milan with the emergence of El Shaarawy and the signing of Balotelli meant that he was virtually out of the picture as far team selection was concerned. So the Transfer Market is in full swing with club's trying their best to sign their targeted players. Don't worry even our club is very much active in the scheme of things. Every two days the Catalan media houses make sure that we are linked with a new player. Can't blame them - they have too many mouths to feed - not only employers but also ardent readers who expects the club sign all the exciting players there. With the setbacks of last season and the humiliation in Europe, one thing was clear that we would be very active in the transfer market. This compounded with some changes which will happen soon like the Valdes contract ending had the football club's management looking for options early on. So let's look at the serious targets we were trying to sign and what's happening with those pursuit. Now I am not going to add every rumoured link up here, as that will make this an infinite post. For some seasons Football Club Barcelona has the highest wage bill among top clubs in Europe. If I remember correctly our entire expenditures' more than 50% goes to pay player salaries. In most cases we cannot afford to reduce wages due to the quality of sides. In some cases a new signing would require others in the side get a pay hike to keep the equation under check. This high wage bill also means that we not only have to look at the transfer amount but also the player wages when we go into transfer market. I have compiled a list of wages which our players take home currently. This may not be accurate but is a estimation from different sources reporting on the same. Thiago Silva is the toast of Catalan press at the moment. Each and every news about Football Club Barcelona ends with a mention of the impending transfer of the Brazilian to Camp Nou. The kind of build up Thiago Silva gets is similar to the one which Cesc Fabregas got prior to his transfer. And this also have the potential to drag on for more than a season. But the worrying problem for Barca will be it drags so long that we are unable to find a replacement before the market close, something of a repeat of last season. Regardless of whether we sign him or not, our defensive issues will not get solved with this one acquisition. It's more than that and may need a different fundamental outlook in terms of tactics as I mentioned in my two previous post @ AllAboutFCBarcelona.com. So the big question is - Will he Come? The simple answer will be No. I will give you three very good reasons why we should forget about him and look for other alternatives. One League Trophy, Two Semi-Final appearances, Record equaling points tally, players topping the goal scoring and Assist chart; still I have the audacity to call the gone season a Miserable one, isn't it? If you think that I have officially lost it then wait for this - last season where we won only a Copa Del Rey tournament, I describe that as the one of the best under Guardiola - Football team Barcelona's 2011-12 Season Review. Now that's a strange definition of success, isn't it? Regardless of those stats I would still call FC Barcelona's 2012-13 Season as a failure or mildly put a below average one. I do understand that many clubs would love to be in our position. What we have achieved this season will mark as "Above Expectation" in many top clubs objectives. But we don't have to look at how others evaluate their objective, but we have to look at only our objectives and our success in achieving it. Why we should not get Over-Excited about Neymar? Now this is a dumb Question, isn't it? Why should we not get excited about Neymar. We paid more than 55 Million(if rumors are to be believed), he just mesmerized the World in the recently concluded Confederation Cup, he is toasted as the next big thing from South America. So the big question would be - Why should we not get excited. 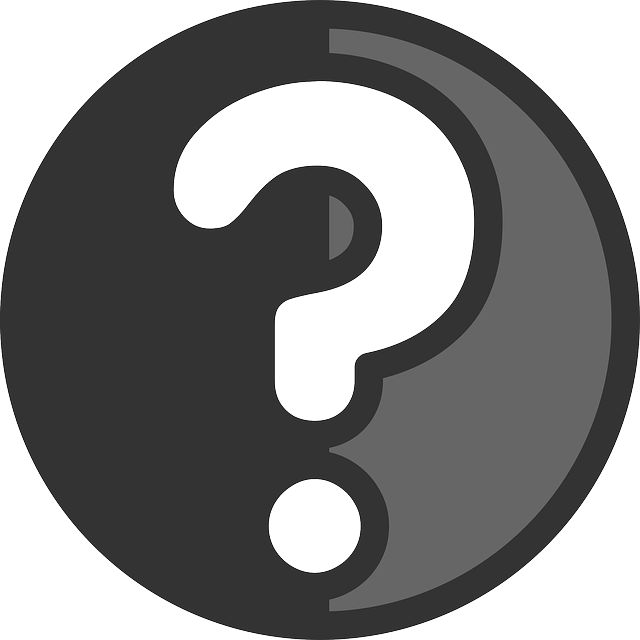 The simple answer to that would be our past history with super-stars who came to the team. Now it's not a secret that I wasn't a fan boy of this signing. I would have preferred that much money remain in our purse as I believe with his arrival the whole equations of the team could change. I am not the only one who think that way, actually one of the club legend Cryuff also view it the same way. May be he may have set some alarm bells ringing recently suggesting we should look to sell Messi since Neymar is here. Well, I bet he doesn't mean that but was just trying to emphasize his point, that's why the dramatization. But it comes from a Gentleman who understands Players ego very well, better than either Rosell or Tito Vilanova. He also know the mentality of the extra-ordinary talented ones, as he was one of them and Messi is already in his company.